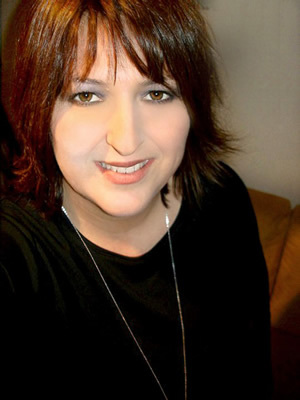 Dianna Ippolito is an American screenwriter born and raised in San Diego, California. After graduating from the Art College of Design, she worked at The American Film Institute in Los Angeles, where she was introduced to the world of screenwriting. Her passion for photography has taken her on frequent trips to Europe and North Africa, which gave her an opportunity to extend and deepen her experience of cultural richness. It has also significantly informed the way she writes, helping her to tell visually compelling stories. Dianna loves to write romantic comedies, which include her award-winner Dear Jane. She also enjoys the challenge presented by working on other genres, like her other award-winner Racing To The Altar, a bittersweet period drama inspired by true events. Dianna has been a finalist in Scriptapalooza, and a winner in the Fade In screenwriting competition. She currently resides in Southern California and is represented by Eva Lontscharitsch of EML Entertainment. Coronado, 1965: Life is good when you’re twenty years old, the country is embracing folk tunes, and the most you have to worry about is which bikini to wear. Everything changes in a flash, however, for Joe, his girlfriend Linda and best friend Daniel when they learn that the marriage deferment for the Vietnam War draft will end at midnight. In order to avoid getting drafted, the friends decide to get married in Las Vegas that night. Just as quickly, the plan is beset by obstacles. First, Daniel must find someone to marry. Next, Linda has to tell her parents she’s running off to tie the knot, and Joe must confront his father who considers him a coward. The friends meet back up and finally speed down the boulevard, heading not only to Vegas but also into their adulthood. When they spot Gina, a young edgy-looking hitchhiker by the side of the freeway, they stop to pick her up. Daniel, hyper aware of what little time they have to reach Vegas, is annoyed by this unexpected disruption of his plans. Sparks fly between him and Gina who can’t help but be aware of his displeasure. After stopping at a roadside diner and gas station to fill up, they unexpectedly run into Gina’s cop boyfriend Eddie who angrily insists on taking her back with him to San Diego. A scuffle ensues and the gang speed off down the highway, only to find themselves on a high-speed chase that results in a crash. After walking through the desert, they come upon a very unusual sight -- a brightly colored school bus and some crazy-looking proto-hippies who offer them a ride. After the gang learns they won’t make it there before midnight, they accept the help of a spunky old woman with a private plane. But even after the plane crashes, the group is able to sprint to the altar. By the time Joe arrives at the courthouse steps, he realizes that he is meant to serve in the war after all and decides he and Linda are better off waiting to get married. In that moment, he experiences the first bittersweet taste of adulthood. What they don’t know is that within two months, their marriage deferments will be abandoned. What they do know is that their friendships, grown even stronger in the past night, will see them through their uncertain futures. Ever since a fateful visit to Scotland as a girl, Jane Marsden has viewed the world through plaid-colored glasses. As an adult it’s left her with a fatal weakness for all things Scottish, including men. Jane flies to Scotland but quickly loses her composure after an encounter with a bad-mannered Scot. While checking into her hotel, Jane meets Stewart James, the writer assigned to work with her on the assignment and mistakenly assumes he is American. She gushes over how relieved she is about it, piquing his interest. Using his best American twang, Stewart decides to continue with the misconception and over a drink at the local pub, Jane confesses the reason for her hang-up. The following morning when Jane catches Stewart using native Scottish burr, she realizes she’s been played the fool. Angry, but attempting to put on a professional front, Jane goes with Stewart to meet the eccentric actress Orisca Andrews. But when Stewart and Jane begin squabbling in front of the legendary star, Orisca indefinitely postpones the interview. The pair leaves, disappointed, but Jane, unwilling to return to New York without the coveted photos, returns to apologize to Orisca and convinces her to allow them to finish their interview, the results of which prove hugely successful for Jane. While attending the Tartan Plaid festival that night, Jane spots John in the crowd, and quickly asks Stewart to pretend he is her date. Embracing the deception enthusiastically, Stewart sweeps Jane into a passionate kiss, which disturbs John and confuses Jane. Although Stewart is falling in love, a skittish Jane rejects him, and back home in New York, she is further confused by John’s attempts to win her back. Unsure of her feelings, Jane visits Stewart at his apartment, but leaves depressed after a seeing him in an embrace with another woman. Stewart, assuming Jane and John are back together, departs for Scotland.